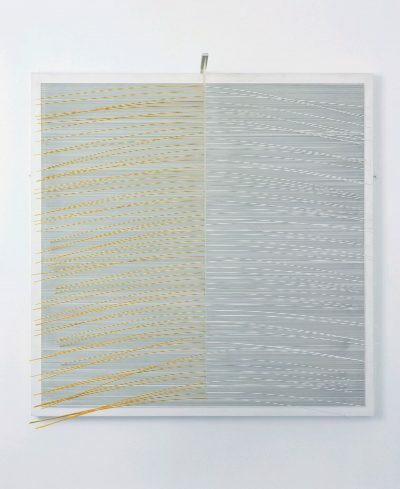 Venezuelan artist Jesús-Rafael Soto trained in Caracas before moving to Paris in the early 1950s. In Paris, Soto associated with such artists as Yaacov Agam, Jean Tinguely and Victor Vasarely, and became established as a member of the young avant-garde. Soto’s experiments with the incorporation of movement and the physical engagement of the viewer into his art works established him as a leading figure in kinetic art. Soto exhibited internationally from the 1970s. The Jesús Soto Museum of Modern Art opened in Ciudad Bolívar, Venezuela, in 1973.